QRPp usually refers to low power operation when the power of the transmitter is below 1 watt. 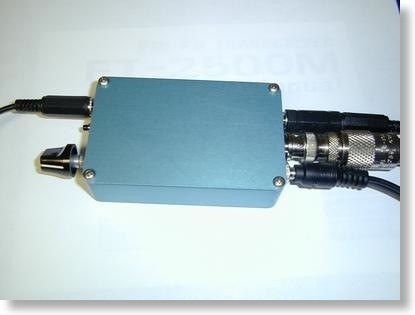 Here's an example of a QRPp transceiver. Actually smaller than a pack of cigarettes. The transceiver is named the "Rock Mite" and is a design by Small Wonder Labs (now available from QRPme since Dave of Small Wonder Labs has since retired). The kit (less case, jacks and controls) is about $40 and can be ordered for 80, 40, 30 or 20 meters. The standard power output is 500 milliwatts, however by swapping a few components (final, resistor and choke) you can raise the power output from between 1/2 to 1 watt. 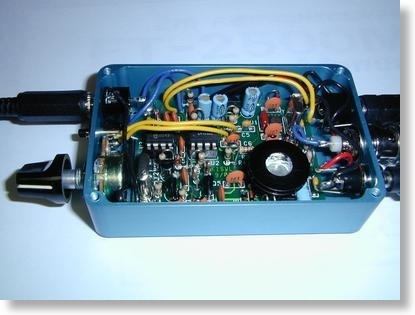 This Rock Mite has been modified with a different final than the stock 2N2222A and will output about 750 milliwatts. I have worked over 10 states with this transceiver using nothing more than this, a 12 volt battery and a Butternut vertical antenna. The farthest state being Arizona (from Ohio). It only operates on two frequencies just around the standard QRP calling frequency of 14.060. Lately I have gotten away from using the little kit QRP radios. They were fun to build and use, but now my predominate QRP radios are my TenTec Argonaut V (which in my opinion is far better than the new replacement model) and the Flexradio 1500 which is a Software Defined Radio (SDR) with a maximum output of 5 watts. Above is the front view of the radio showing the power button, USB connection to the radio, phones, mic and CW key connection. The nice thing with this radio is because all control is done from the computer screen, the radio can be hidden out of sight. In my shack, the Flex-1500 is hidden behind the Kenwood TS-590. This is the rear view of the Flex-1500. I use the Flexwire I/O port on the back to interface to a Tokyo Hy-Power HL-45B RF Amplifier when I need a few extra watts. This Flex/THP Amp combination is more than adequate for normal QRP and QRO operation. When using a good pair of computer speakers, like the pair I use from Bose (Companion 2 Series II which are about $99 a pair from Amazon), the receive audio quality is like nothing you have ever heard on any other radio. When listening to CW or voice, it is like listening to high-fidelity stereo. One complaint that many QRP CW ops have with this radio is that when they use the software to key the radio, there is some latency. I cannot say one way or another because I use a separate program, with a simple CW serial keying interface (see information below) to key the radio directly. Or, for the CW purest, you can just connect the key or keyer to the "key" port on the front of the radio. Any time you are using the front "key" port, there are no issues with CW. 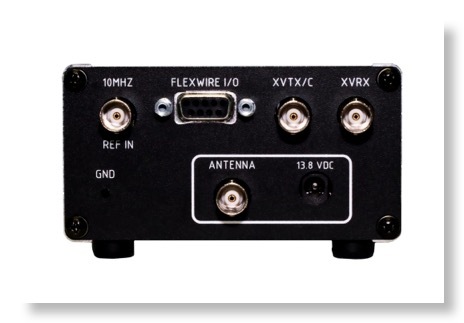 The Flex-1500 makes it so easy and fun to operate CW, SSB or any of the digital modes. 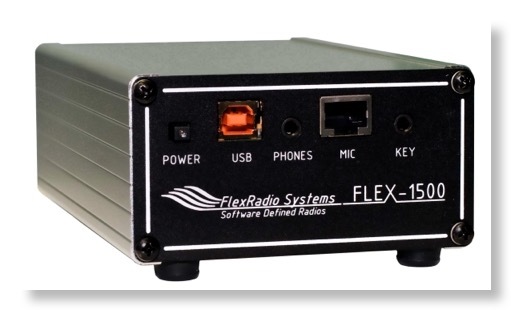 Ham Radio Deluxe (HRD) can easily interface to the PowerSDR® which is the software which runs on Windows® to control the Flex-1500. With HRD is an integrated digital mode program, DM-780, which makes it easy to operate digital modes and have computer control of the Flex-1500. I have a 1000 Miles per Watt award from ARCI using the Flex-1500 at 4 watts and worked an Italian station using JT-65. According to the award serial number, I was the 4th ham to get the 1000 Miles per Watt award using JT-65. While not a big CW buff as you might expect, since it seems all QRPers seem to be CW buffs, I do use it. But I have never been a big fan of hand keys, bugs or keyers. Standard hand keys make my hands cramp, bugs drive me nuts to try and copy them (it just sounds so unnatural), and I am just not coordinated enough to use a keyer. Given those options, what's a ham to do for CW? The simple answer is use a keyboard on the computer! Now I love to send CW. I have built several of these simple CW Interface units. Schematic of the simple circuit is below. I actually build the circuit into the hood of a DB9 9 pin serial port connector. It only uses three components. A 1.2K 1/4 watt resistor, a 1N914 diode, and finally a 4N35 optocoupler or its equivalent. You can build this circuit in about an hour. If your computer no longer has a serial port, you can use a serial-to-USB adapter with it which works just as well as a native serial port.